We are very excited to announce that the BNC South Miami Dade chapter has won a Financial Goal Award for 2018. These awards recognize that BNC S. Miami Dade has achieved their financial goal. 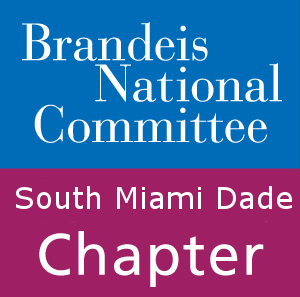 Through a wide array of study groups ranging from walking tours to literature groups to luncheons featuring Brandeis lecturers, BNC S. Miami Dade offers it all. We would like to thank all of our members and chapter leadership for their support of Brandeis University and enthusiastic participation in chapter activities. We look forward to spending another wonderful year learning, exploring, and supporting Brandeis together. Our new fall bulletin is now available! Click here. Can you match wits with Sherlock Holmes? Test the deductive reasoning and puzzle solving skills of your team as you try to escape the room before the clock runs out! This Sherlock Holmes themed Escape the Room type event challenges your team to find clues and solve puzzles to find the key to a locked room. If you’ve already escaped Holmes’ library, challenge yourself to escaping Moriarty’s Gameroom. The game is not scary or claustrophobic, but demands your creative thinking skills. Holmes’ library has a 35% escape rate and Moriarty’s Gameroom has an 18% escape rate. Will you beat the odds? Further details in the bulletin. NOTE: This event is a rescheduling of the event originally scheduled for November 15th, 2017. All participants must reregister. Join us on February 23rd for a wonderful tour of a beautiful art gallery! The Myrna and Sheldon Palley Pavilion for Contemporary Glass and Studio Art is part of of the Lowe Art Museum of the University of Miami. This stunning gallery features $3.5 million glass and ceramic works of art. We will split into groups for docent led tours of different exhibits. The Palley Pavilion was opened in 2008 as a gallery specifically built to display glass works. Designed by architect Ronald Mateu, locally based in Coral Gables, the 4,000 square foot space features art from the Palley private collection and other generous collectors. This week, Nobel laureates from around the world gather in Sweden to receive their awards. During the week known as Nobel Week, winners will attend dinners, ceremonies, and concerts in their honor. They will meet Swedish royalty, deliver lectures to be broadcast across the globe, and receive their Nobel medals and diplomas as VIP guests of the Swedish government. Swept up in the excitement are Michael Rosbash and Jeff Hall, biologists from the Brandeis community. 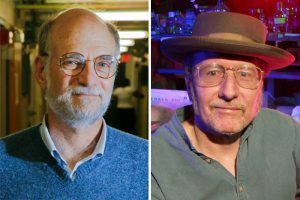 As the scientific and medical communities, and the world acknowledge the significance of Rosbash and Hall’s discovery, the two biologists recognize Brandeis University’s role in their research as a whole. Not only was Brandeis the place they met, but its collaborative, intellectual environment and financial support allowed them to perform critical research. In a time when pharmaceutical companies rely heavily on research coming out of universities; government funding for scientific research is more competitive than ever; and research in flashier, more profitable areas is more attractive; Brandeis provides a haven for an exploratory approach to the base questions, without which we can never full answer the bigger questions. Brandeis University’s attention to foundational research and specialization in neuroscience fosters an environment of research and discovery for both faculty and students. Cognizant of the costs of research, the University provides financial support in the form of grants, fellowships, and scholarships, allowing minds like Roshash and Hall’s to stretch and push the limits of conventional science. A Stimulating and Thought Provoking Symposium. 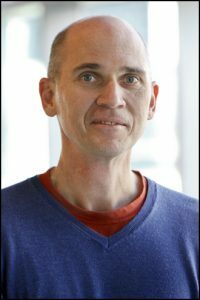 Professor Daniel Breen’s “Landmarks of the Fourth Amendment” presented by Ruth Manishin and Joan Roude explores the right of people to be “secure in their persons, houses, places, and effects against unreasonable searches and seizures”. 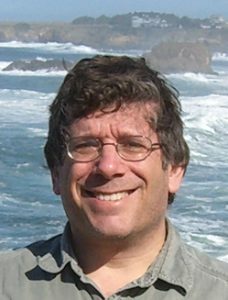 Professor William Flesch’s “The Plot Against America by Philip Roth” presented by Dr. Lydia Axelrod is a fictional analysis of Charles Lindbergh’s Ascendency to the Presidency. Professor Jill Greenlee’s “Forging Political Opinion Over the Long & Short Haul” presented by Ronnie Gerstein will explore political learning & development over one’s lifetime, including the role of the media & political campaigns in shaping political opinion. Any donation over $28 is a charitable contribution to Brandeis National Committee’s Scholarship Fund. Join us on November 2nd on a tour of the US Coast Guard’s Command Center in Miami! We have been personally invited by Commander Captain Megan Dean of the USCG to tour the facility and learn about the role of the USCG. We will also have the chance to meet with Captain Dean once again. The US Coast Guard is one of the branches of the United States Armed Forces and is the oldest continuing seagoing service in the States. They hold a unique position in the military branches and play a role in maritime homeland security, law enforcement, search and rescue, and environmental protection. This tour is to further our appreciation of the men and women of the USCG and the services they provide our community and country.